Real talk: everyone loves shoes. Men, women, brides, bridesmaids, groomsmen; shoes are always fun to shop for. Picking the perfect wedding shoe requires a bit of thought, and often the chosen shoe provides a window into the personality of the bride. Whether it’s with a little sparkle, a little shine, or a smooth and polished look, the shoe choice says something about wearer. 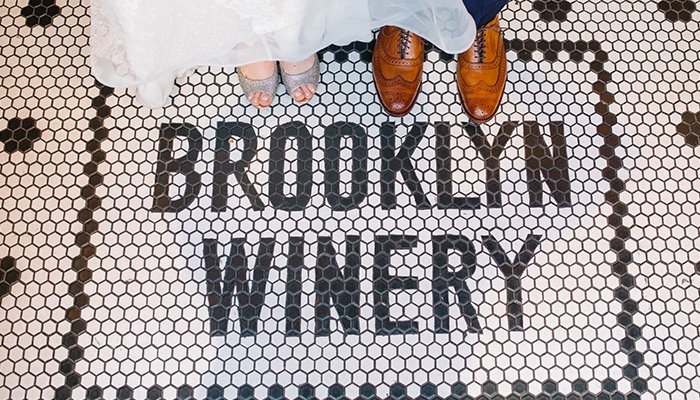 We’ve taken a look back on all of the beautiful photos from previous Brooklyn Winery weddings to put together a wedding shoe roundup, which serves to prove past trends that we predict will continue on. Blue shoes are a sweet way to check “something blue” off of your list! Plus, a little pop of color never hurt anybody. 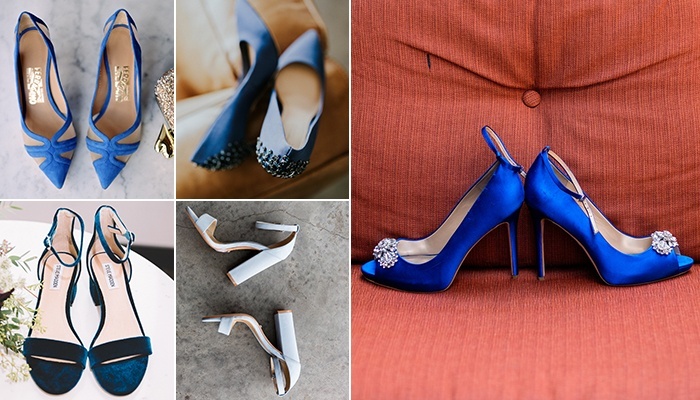 We love the way a blue wedding shoe feels like a sassy little secret. You say wedding, we think lace. Forever a classic combination, the delicacy of the lace perfectly reflects the image of a romantic wedding. 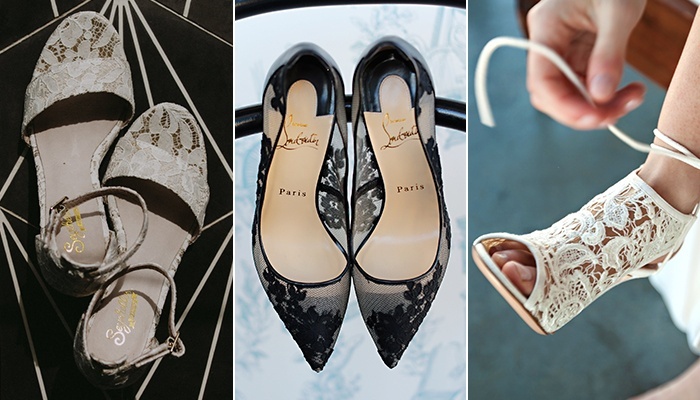 Considering adding a lacy touch to your wedding shoes? We are absolutely on board! If ever there is a day for extra glitter and gold, it’s your wedding day. Metallic fabrics and patterns offer a shimmer and shine, adding just the right amount of festivity to your look. 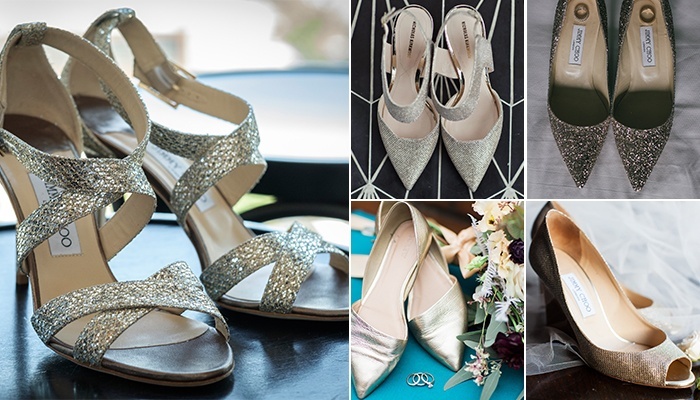 Full respect to all of our brides who opted for silver or gold wedding shoes, bringing that extra fun, super classy touch to complement their equally amazing wedding gowns. A classic white gown with classic white shoes is stunning every time. 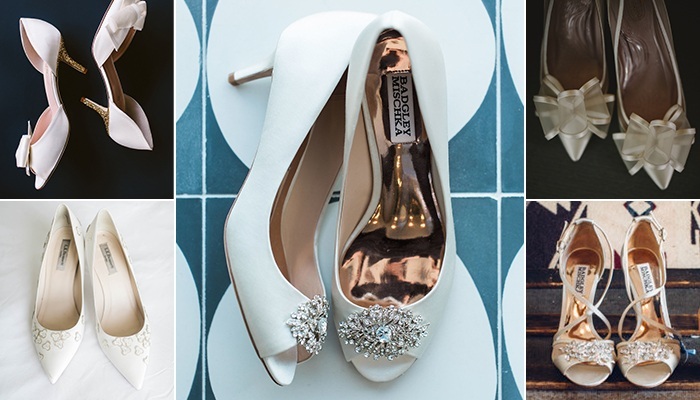 We love to see brides opt for white shoes with a little extra flourish. It’s all in the details when it comes to wedding planning and these shoes are sure to not be overlooked. 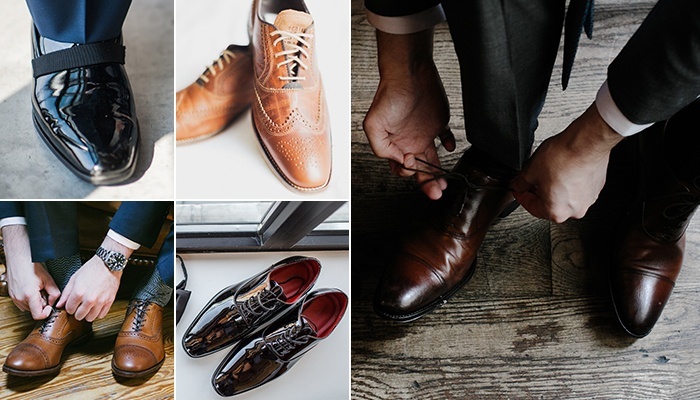 We love the clean, handsome looks that dress shoes have. Whether it’s black and shiny, or a matte brown leather, these are some very dapper Brooklyn grooms. Choosing your wedding shoe should be a fun item to check off your wedding to-do list! Hopefully our past Brooklyn Winery brides and grooms can provide a bit of inspiration to you as you begin your shoe shopping!